Jay Leno's farewell "Tonight Show" drew the late-night show's biggest audience in more than 15 years, NBC said Friday. A total of 14.6 million viewers tuned in Thursday to see Leno wrap up his 22 years as host of the "Tonight Show," according to Nielsen company ratings released by NBC. The audience was the biggest since May 14, 1998, when Jerry Seinfeld appeared on "Tonight" to mark the end of his sitcom and nearly 15 million viewers tuned in. Leno's goodbye to "Tonight" was watched by 2.7 million more viewers than when he left in May 2009 to make way for Conan O'Brien's short-lived stint as host. That telecast had 11.9 million viewers. 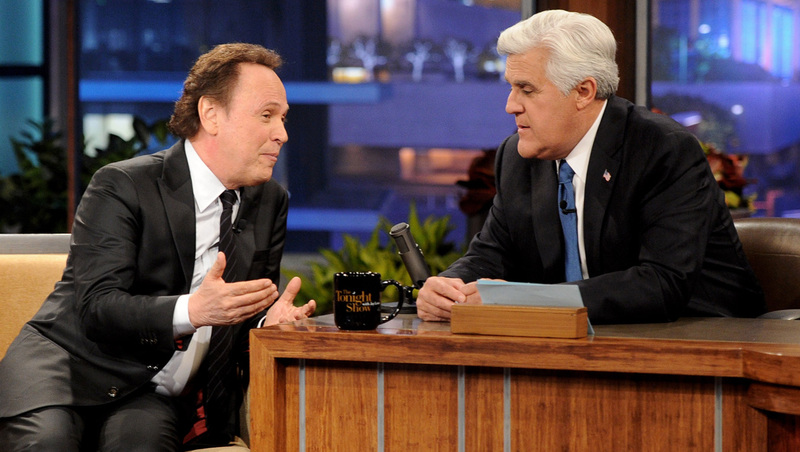 Billy Crystal, Leno's first guest when he took "Tonight" over from Johnny Carson in 1992, was the final guest on Thursday. Garth Brooks was the show's last performer. Jimmy Fallon, Leno's successor at "Tonight," also had a good Thursday. "Late Night with Jimmy Fallon" was watched by 6 million viewers, the show's biggest audience since a 2012 Super Bowl special telecast drew nearly 6.1 million. For a regular weeknight show, the post-Leno finale represents the biggest "Late Night" audience since David Letterman's final appearance as its host in June 1993 was watched by 7.5 million viewers. "The Tonight Show starring Jimmy Fallon," which is relocating from Burbank, Calif., to New York, begins airing Feb. 17.